Vitals has awarded Dr. Shahram Salemy again for Patients’ Choice and On-Time Doctor for 2016. 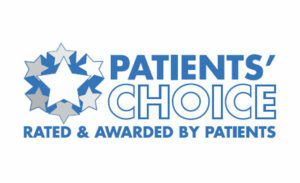 The Patients’ Choice Award is bestowed to physicians with near perfect scores as determined by patients themselves for making a difference in patient lives. The On-Time Doctor Award recognizes doctors with excellent standards in timeliness and promptness. Dr. Salemy is also acknowledged with the Patients’ Choice Fifth Anniversary Award and the Compassionate Doctor Award 5 Year Honoree, distinctions that are only granted to physicians who have the highest scores for five consecutive years. With the Patients’ Choice Fifth Anniversary Award, only 1% of doctors nationwide are bestowed with this honor.